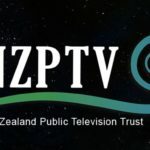 The Labour Party’s health spokesperson Maryan Street revealed that National Party members on the Health Select Committee have twice refused to allow experts to brief the committee on possible effects of the TPP on New Zealand’s ability to determine its own health policies. 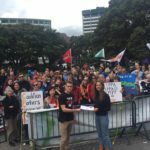 This follows the earlier rejection of a petition led by the NZCTU for a hearing at the Foreign Affairs and Trade Committee. 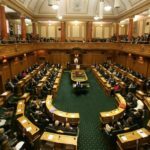 This is a brazen of double standards : last month Joseph Damond, senior vice-president of the Washington-based Biotechnology Industry Organisation, was granted an audience with Trade Minister Tim Groser and New Zealand’s TPP negotiators. Edward is a political activist and trade unionist. Qualified in law and currently based in Kuala Lumpur, Edward was deeply involved in the NZ campaign to stop the TPPA from 2012 to 2015. He is now trying to use his position in the Asia-Pacific to promote activism around issues like TPPA and RCEP amongst workers and unions in the region.